The Policia de Transito (Traffic Police) has come out with a public campaign giving advice to drivers to avoid accidents at the 23 train level crossings that bars and lights were recently installed. The traffic police have also posted officials at the various points, one to ensure drivers respect the rules of the road and two, to be on hand to issue the ¢52,000 colones + plus costs fine for running the train signal. In addition, drivers will be responsible for damage caused to the train level crossings. The first 23 of the 91 train level crossings that will be installed in the coming months, went into operation on Monday. On that same day, a driver not respectful of the new signalization damaged one. 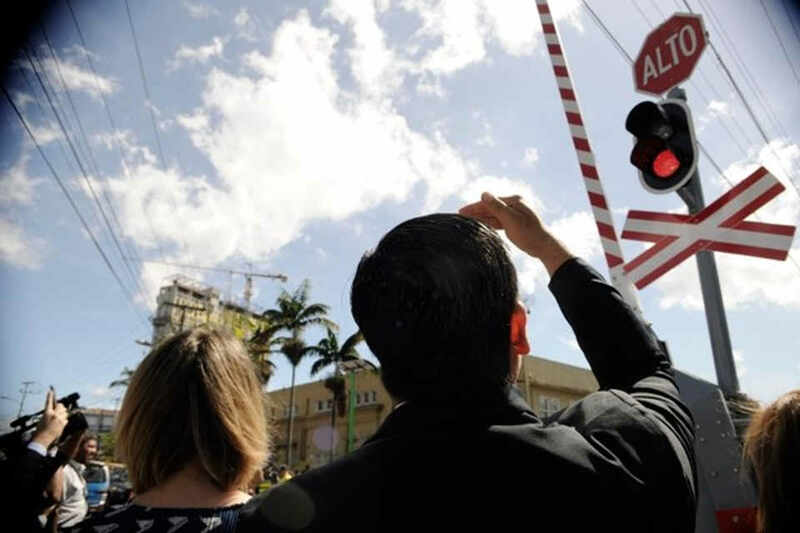 The incident was in the are of the Vieja Aduana (Old Customs office), not far from where only a short while earlier President Carlos Alvarado officially gave the train level crossings the signal to start operating. Immediately the Policia de Transito took the proactive action. 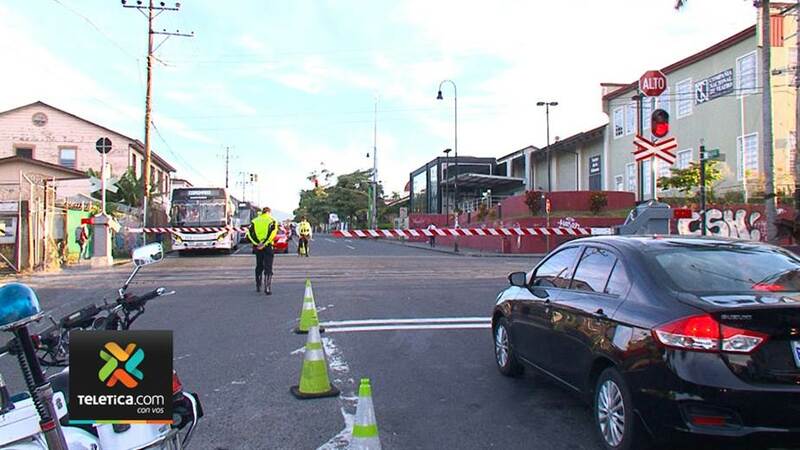 The Instituto Costarricense de Ferrocarriles (Incofer) – the national railway – says that drivers will face the cost of between US$300 and US$500 or more, depending on their size and location, to replace damaged barriers. The train level crossings consist of a barrier that closes, a flashing red traffic light and sound when the train approaches the intersection. The system is to block vehicular and pedestrian traffic while the train crosses the intersection. The Incofer explained, when the train is about 300 meters from the intersection, the lights begin to flash and the clanging bell is activated. Within seconds the barriers begin to close to block all vehicular and pedestrian traffic and remain closed until the train has passed through the intersection for at least 100 meters of the last car. For the conductor, a signal some 200 meters from the intersection will alert that the train level crossing system has been activated. Given that the commuter train travels at a low speed, the signal gives the conductor time to activate the brakes, if not stopping, at least slowing it down to reduce the chance of serious damage or injury in the event of a collision. For foreigners living in Costa Rica, the train level crossing system is not new, for locals, it’s another story. Though they have seen it in the movies, it is another thing live. And like in the movies, many a driver is easily convinced they can outrun the train. The number of crashes, unfortunately, several with fatalities, are just too common. The train level crossings should reduce the number of incidents. According to Mario Chacón, head of special operations at the Policia de Transito, the average time for the train to approach the intersection, the train level crossing system activated and the train leaving the intersection is about 80 seconds – less than a minute and a half. Chacón added that his officials will be on site all this week and then back in January after the holidays. 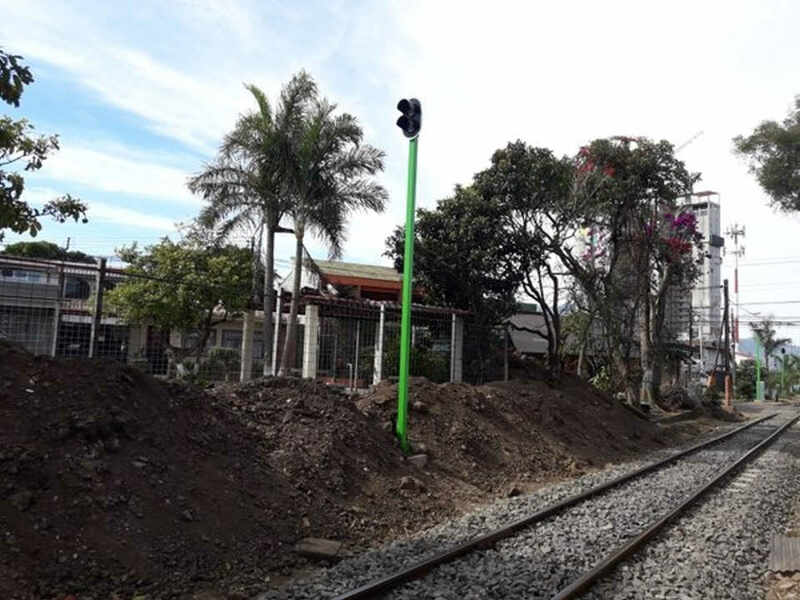 The function of officials will be to protect and be a guide to drivers and pedestrians, to get them accustomed to the train level crossings and the train”, added Chacón. The commuter train runs only weekday mornings and afternoons. But, the train can come at any time.